Sotheby’s Hong Kong will hold its Modern and Contemporary Southeast Asian Paintings Autumn Sale 2011 on 3 October (my birthday ! ), bringing forward a total of over 170 lots estimated in excess of $4.2 million. A substantial collection of important Southeast Asian modern masterpieces will be on offer, among which a selection of over 40 exceptional Vietnamese works of art. On the contemporary front, the sale will feature works by both established and emerging talents. In April 2011, Hendra Gunawan (1918–1983)’s Penari Ular (Snake Dancer) was sold for a record $2.1 million at Sotheby’s Hong KongThis Autumn, the Modern Section will be led by yet another painting by Gunawan – Tuak Manis (Sweet Wine). Executed on a canvas measuring 211 by 391 cm in the 1980s (after Guanwan’s release from a 13-year incarceration), the painting is the largest known work by Hendra Gunawan to ever come to auction. Hendra’s epic allegory of his country was borne out of his own experiences, observations and complex relationship with his motherland. Full of symbolism and humour, the painting balances gravitas with wit, grotesque with elegance, horror with beauty, and shares a little piece of history that bears testimony to the evolution of a nation. 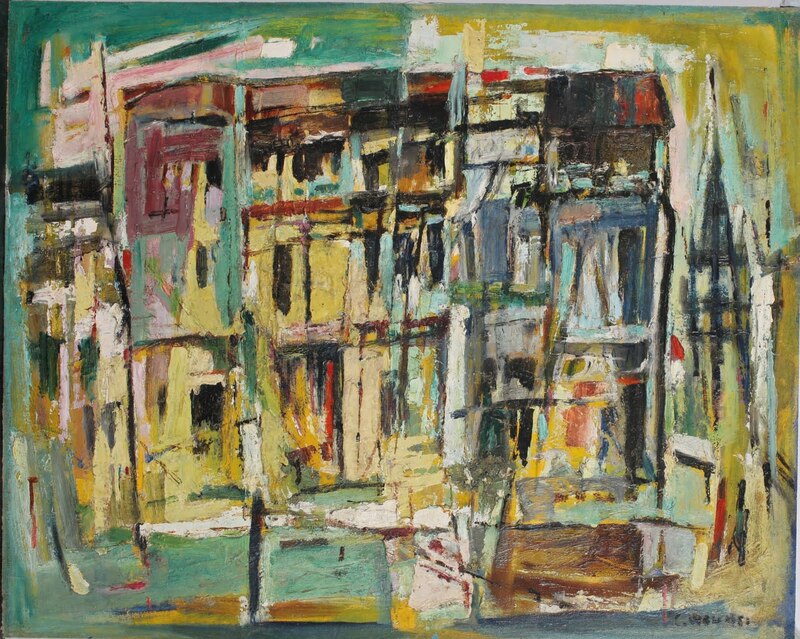 1963, this work was completed during Indonesia’s nascent decades, when the nation was building its national identity. During that period, Affandi was celebrated as one of the few Indonesian artists who participated in international exhibitions and thus through his art, he carried the voice of Indonesia among other nations. Sotheby’s will also present a selection of Modern works by pioneering “Nanyang artists” from Singapore this season. Educated in Shanghai, New York and Paris, Georgette Chen (1907–1993) was exceptionally cosmopolitan and successful for a Chinese artist of her generation, having exhibited at various salons in Paris in the 1930s. 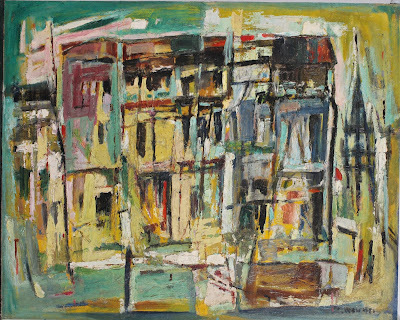 Her early works show strong influence of Cezanne and Van Gogh, but after several years living in Hong Kong and Penang, Chen came into her own style when she moved to Singapore in the 1950s. Lotus is a fine example of Chen’s still life painting. Quietly and humbly elegant, it expresses the beauty of the distinctive culture she embraced while retaining her sophisticated, Western-trained eye for observation and sensitivity. Created in 1952, Untitled (Balinese Girl) was an extremely significant work by another first-generation Nanyang artist, Cheong Soo Pieng (1917–1983). His foray to Europe in the 1960s and his friendship with the Western and Chinese artists who lived there, such as Zao Wou-Ki, influenced him to experiment with texture and layering, producing serenely abstract landscapes. He is most well-known for depicting women from the Malayan Straits with elongated limbs, almond-shaped eyes and chiselled faces. The subject of this work is said to be the first Balinese woman the artist met and painted, and this painting was for some time kept in the artist's collection. Amongst the Vietnamese works will be The Three Bathers, circa 1938, by Le Pho (1907–2001). Veering away from Le Pho’s conventional depictions of Madonna and Child, the present work illustrates three young women in a very natural and realistic setting. The composition captures an activity from daily life instead of the idealised poses, which is rarely found in the market today. Also on offer is Pagoda Landscape in the North of Vietnam, a lacquer work by Pham Hau (1903–1995), one of the precursors in this genre. The six panel screen, measuring 104 by 188 cm, describes an old Vietnamese pagoda with its gate and garden, surrounded by an abundance of trees. An atmosphere of tranquillity and serenity is elegantly expressed, in the spirit of the Vietnamese poetry and literature of the 1920s and 1930s, exuding an impression of solitude, all wrapped in a harmonious composition of its season’s colours. Executed circa 1935, this screen is among the artist’s early works, making it exceptionally rare. In the Contemporary Art section, there will be a sought after Ronald Ventura (b. 1973). His Grayground was sold for $1.1 million at Sotheby’s Hong Kong, setting the world record for any Contemporary Southeast Asian artwork. His new work, Battle Field is a powerful and intense manifestation of Ventura’s forte. Combining an apocalyptic scenery with remnants of cartoonised innocence where humanity seem to slowly dissolve into a digitized and commodified world, Ventura’s canvas undoubtedly shines with supreme technique, magnificent details and limitless imagination. Spurts of rainbow-like CMYK colours appear like gems against an otherwise monochromatic background. Battle Field is dark with apprehension and fear, but with a closer look the viewer will see a sliver of light that pierces through the fumes and the gas mask, revealing the glimmer of hope in the figure’s eye. Are You Sure? assembles all witty visual elements that are iconic of I Nyoman Masriadi (b.1973)’s works. The composition is simple: a zoomed-in image of a couple sitting side by side looking at each other, both faces revealing signs of tension. Ahead of them is a beautiful sandy beach and the azure blue sea – though no one seems to be enjoying the vista. The visual narrative and Masriadi’s scribbles seem to suggest an unspoken plot about the complexities of relationships, yet the concern it poses extends beyond that. The work underlines the importance of open communication, honesty and the courage to go towards the promising unknown. Riding on the success of the debut photography session last April, Sotheby’s is also presenting this season works by Yee I-Lann, Agan Harahap, Wawi Navarroza, Juan Caguicla, to name a few.